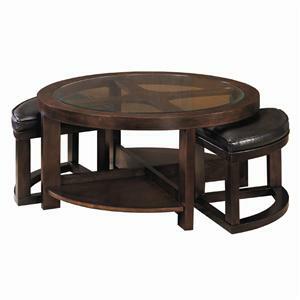 Shown With Matching End Table. 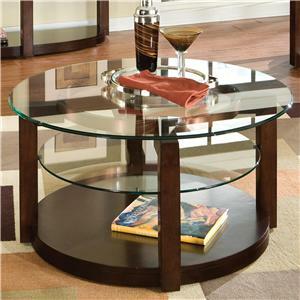 Add to the sleek modern style of your living room with this contemporary coffee table. Sliding apart the top two surfaces reveals storage space inside, making this piece the perfect addition to any space that needs an extra place to tuck away books or blankets. The sleek white finish makes this table a unique addition that will draw the attention of any guests you invite over for a get together. 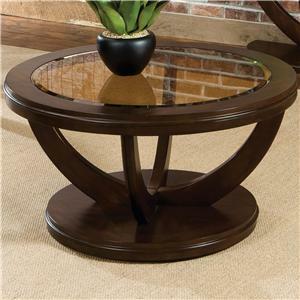 The 72108 Contemporary Coffee Table with Interior Storage by Coaster at Carolina Direct in the Greenville, Spartanburg, Anderson, Upstate, Simpsonville, Clemson, SC area. Product availability may vary. Contact us for the most current availability on this product. Storage The table is divided into halves, each piece slides out for access to the large interior storage compartment. 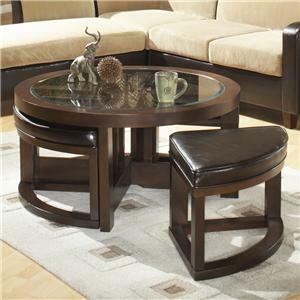 Description: Top These tables feature a glossy white top that is split into two surface that reveal a storage compartment when separated. Browse other items in the 72108 collection from Carolina Direct in the Greenville, Spartanburg, Anderson, Upstate, Simpsonville, Clemson, SC area.